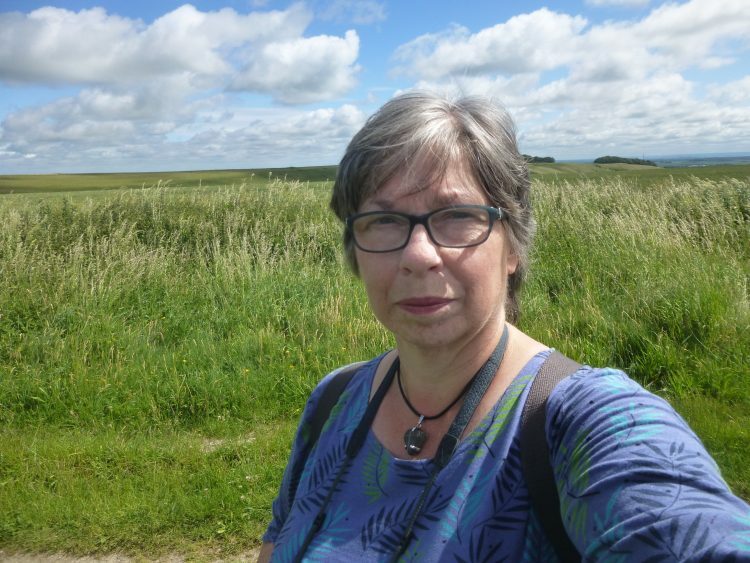 My second walk started from the highest point on this section of the Ridgeway – Sparsholt Firs. There is a convenient little car park on the side of the road at this point, and I was soon walking along the grassy track. 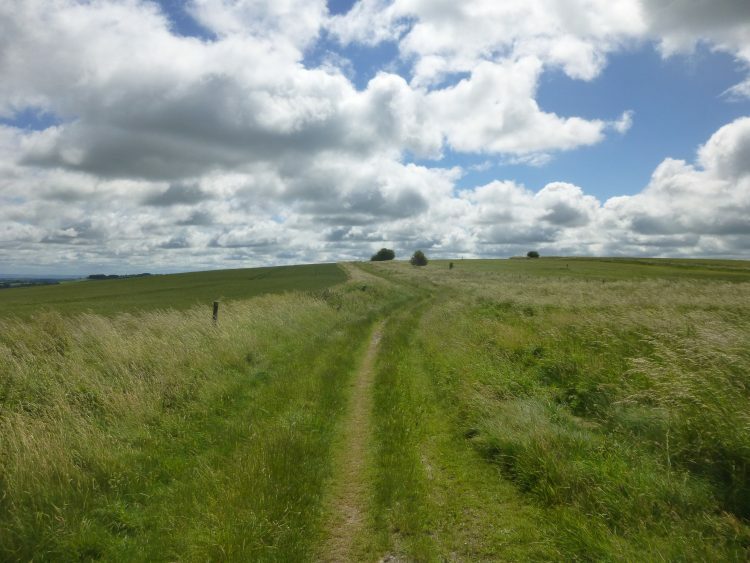 The Ridgeway is immensely wide at this point – at least 60 feet I would estimate. 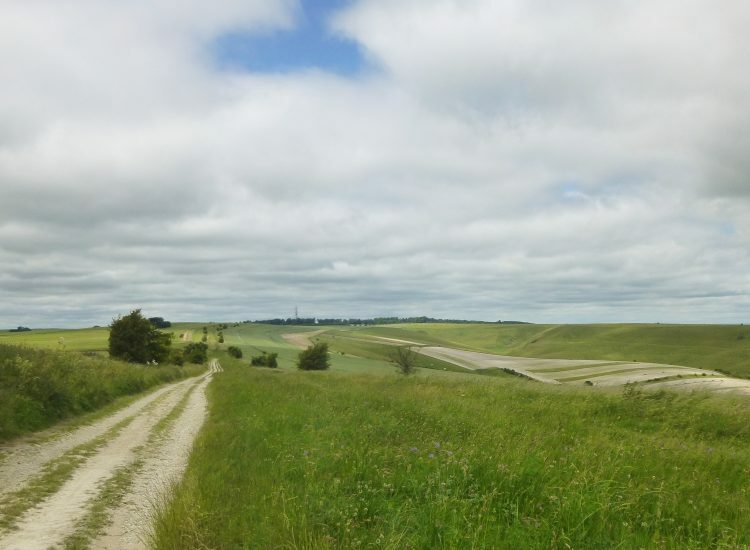 At some points there are two distinct tracks running beside each other with tall grasses growing between – one grassy track and one bare chalk track. On the northern side the land dropped away spectacularly to form the Devil’s Punchbowl, and an area called Crowhole Bottom, which can be seen on the right in the photo below – this is looking back westward towards Sparsholt Firs. 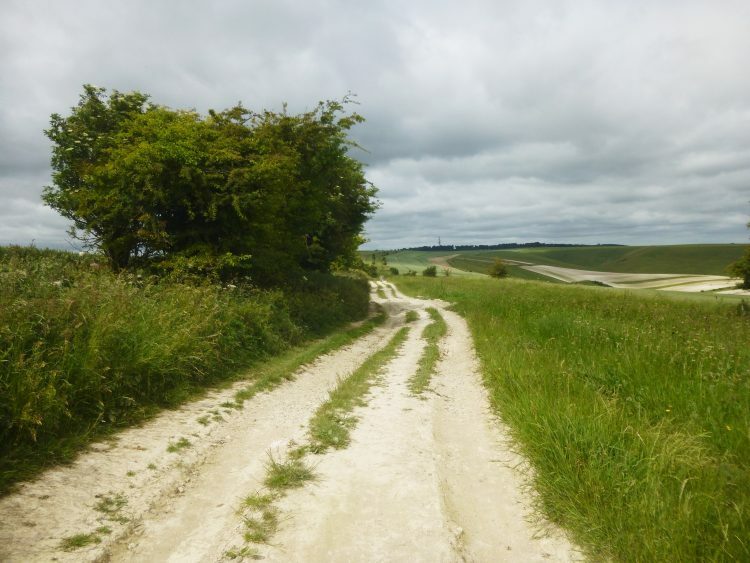 It was rough walking on the chalk, which was very flinty and lumpy at this point, and after a sunny start it became overcast and very humid. The track swoops up and down following the folds in the land. I crossed over the two lanes which lead down to Letcombe Bassett, and then sat down on the bank for a break – a cereal bar and some water. All the way along I had been noticing – and photographing – the range of wild flowers growing on the chalky banks. Sometimes growing out of bare chalk! No soil at all. I’ll do a ‘flower post’ later in the week when I’ve had time to look them all up. It was so overcast by the time I reached this point that I turned round and walked back.